For the new 2018–2019 season, the VERTICAL range was revised with the F-Team to meet the requirements of different practices and the needs of the growing numbers of ski tourers. The new VERTICAL range continues in the same vein, offering unique sensations with an innovative ski rooted in the discipline. Drawing on his experience and many ascents, Vivian Bruchez has developed a ski that is both lightweight and efficient. "Adopting this laid-back attitude means appreciating every moment and enjoying it to the max. The best way to understand a climb is to approach it like an all-round, physical, psychological and human adventure." With three models, the Eagle, the Deer and the Bear, this touring offer encapsulates Dynastar's technology and weight-saving know-how (Dynacell, Carbon PLY, etc.). Designed to reach for the top, these skis are perfect for all manner of ski tourer. The fast and direct Eagle will take you from peak to peak, the agile, all-terrain Deer is great for adventure lovers, while the Bear is safe and tranquil for touring. "One of the classic mistakes is believing that once you're up, it's over. In reality, you're only halfway there." The new VERTICAL range is agile, lightweight and powerful for fantastic skiing on the ascent and descent. 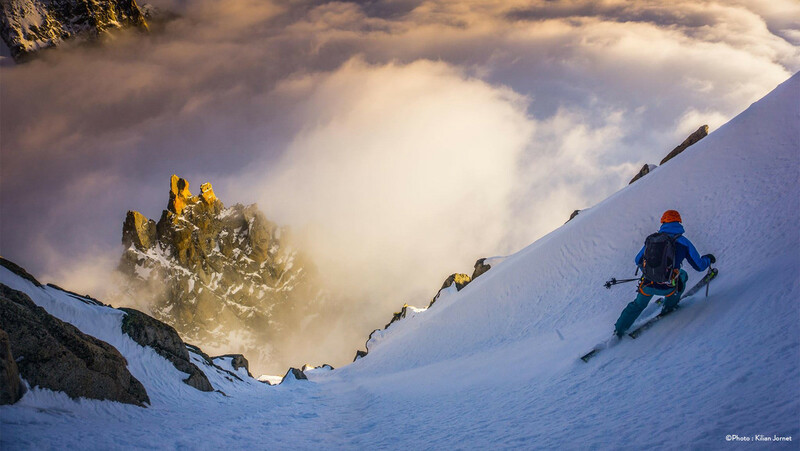 With a wealth of experience climbing and descending the highest peaks, Vivian Bruchez has worked with Dynastar to develop a versatile ski suitable for all snow conditions. The VERTICAL skis guarantee a safe descent without compromising on stability, flexibility or lightness.